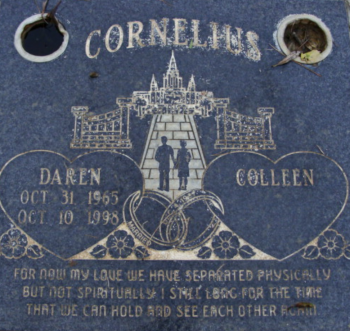 CORNELIUS, Daren James (1965-1998) was born in Contra Costa County, California. He was married on October 4, 1987 in Oakland, California. He and his wife, Colleen Rene Pueblo, had six children. He was 32 years old. This page was last edited on 30 November 2016, at 21:36.